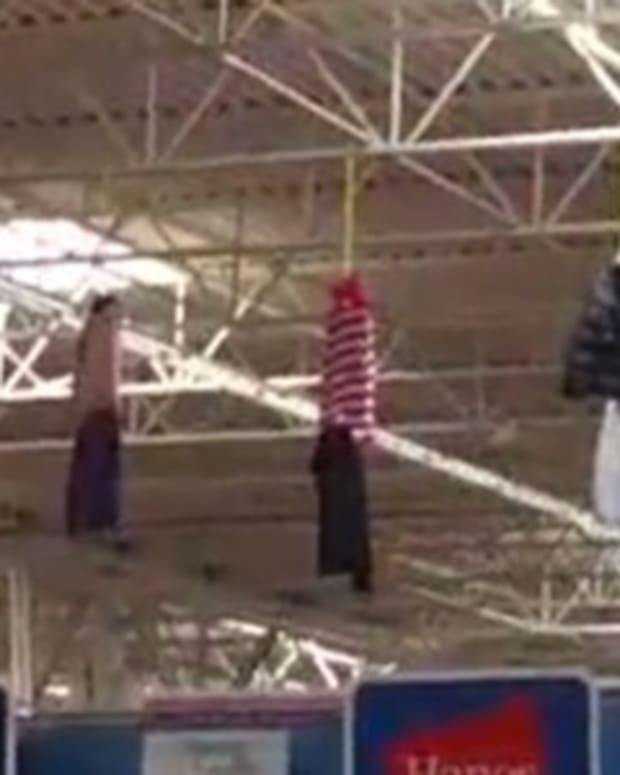 Customers at a North Las Vegas Walmart were enraged to find what they say is a racist and insensitive clothing display. 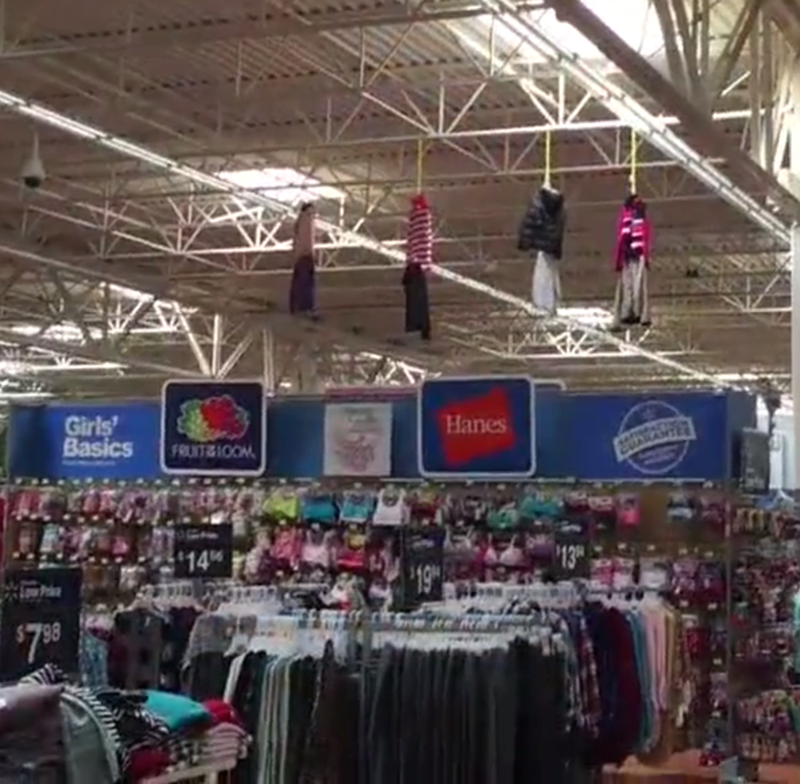 An employee at the Walmart store hung clothing from the ceiling, and many customers found the display to be disturbing. 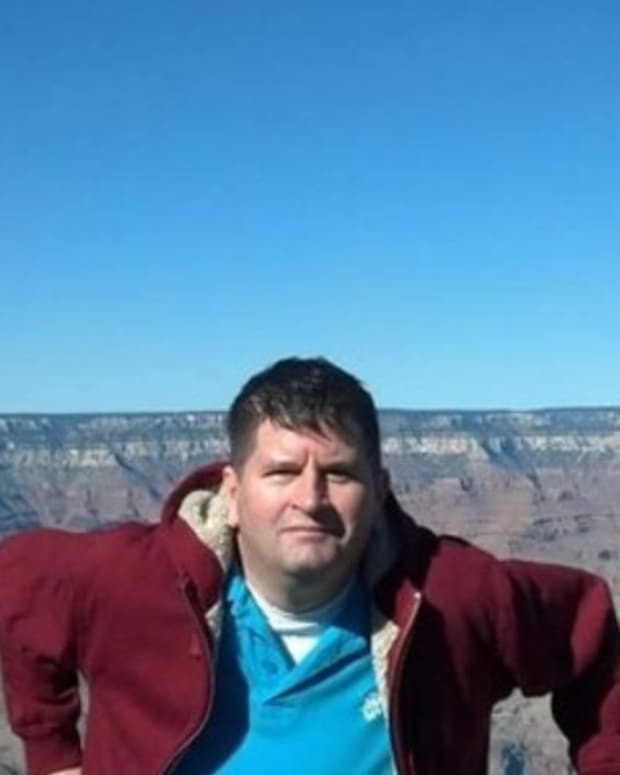 A KTNV reporter took a picture of the display and showed it to people on the street, asking for their first impressions. 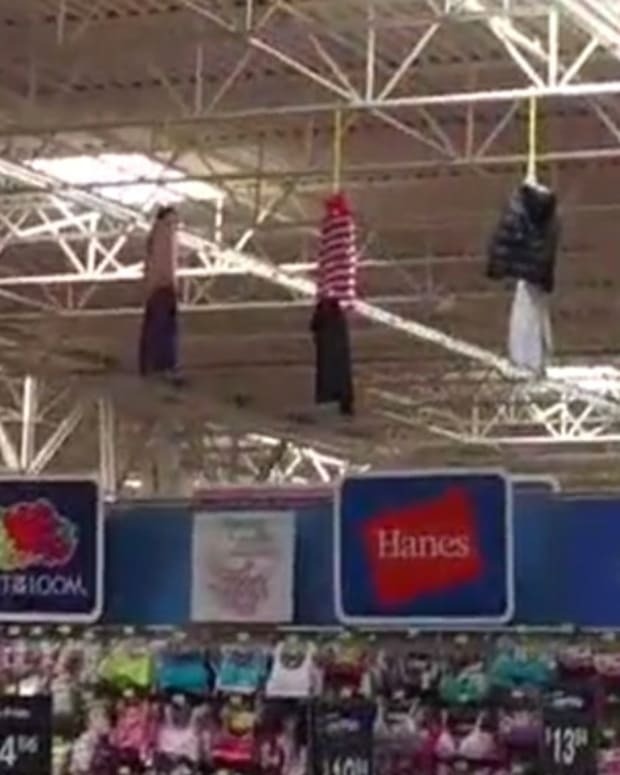 While some said the display looked like "mannequins of people hanging from the top of the roof" or "people hanging from the ceiling," others saw something else. 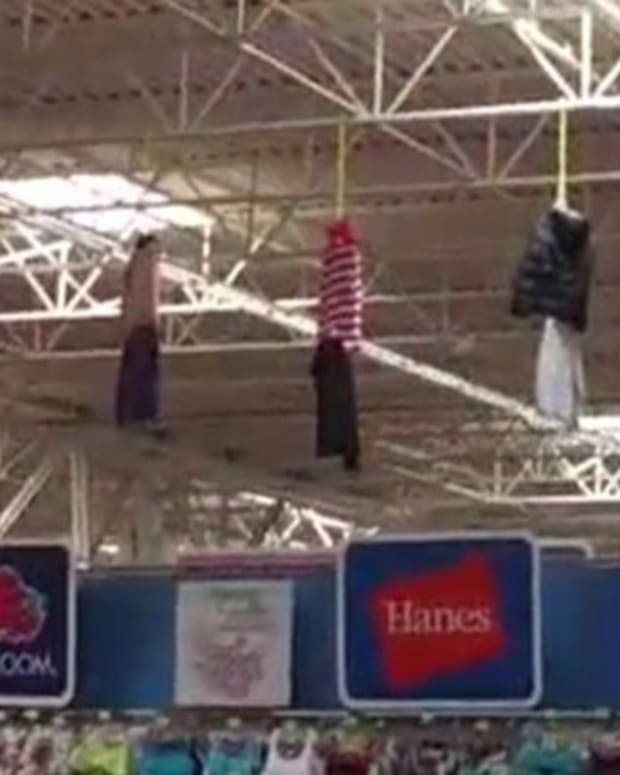 One man described the display as “four black items hanging from the ceiling as if they were four black people,” KTNV reports. 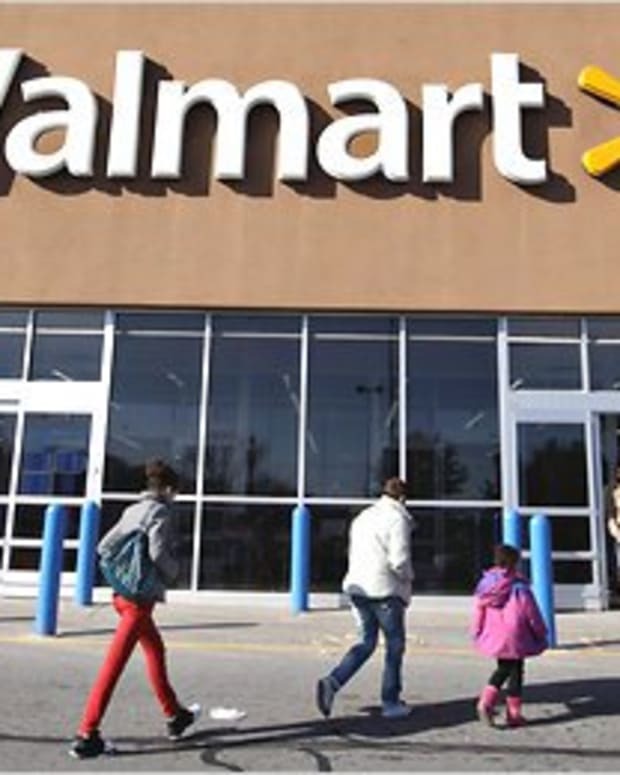 Walmart reportedly took down the display, but nobody from the company has responded to the controversy or apologized, according to KTNV. 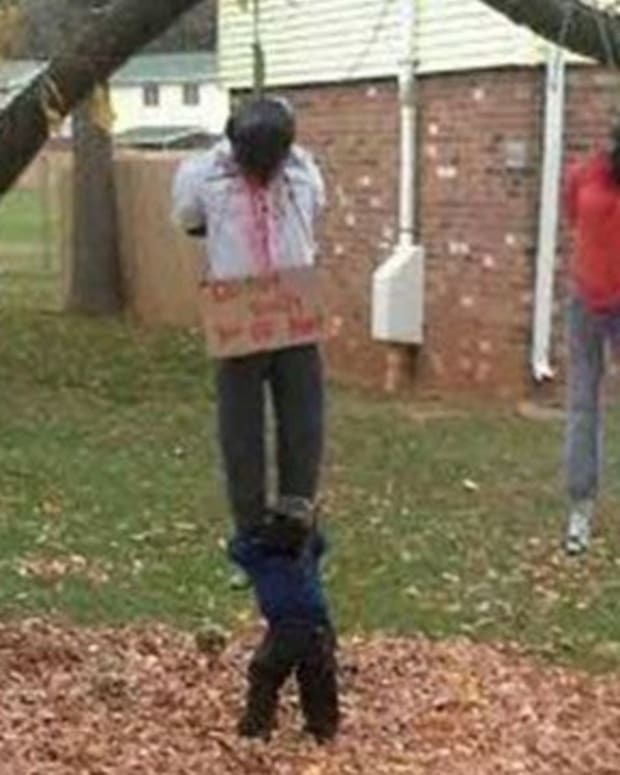 Do you think that the store’s display has any racist implications? See for yourself below.